Spring is always the time of the year I'm planning my golf outings for the season. I'm not talking the local rounds but courses that I'll be travelling to whether it's blog business or family vacation or a mixture of both. The PGA Golf Club ever year is always near the top of my list, with three golf course to choose from (Dye, Ryder and Wanamaker) this is a part of Florida I will be travelling to soon. Will keep you up to date whether I get there this year. 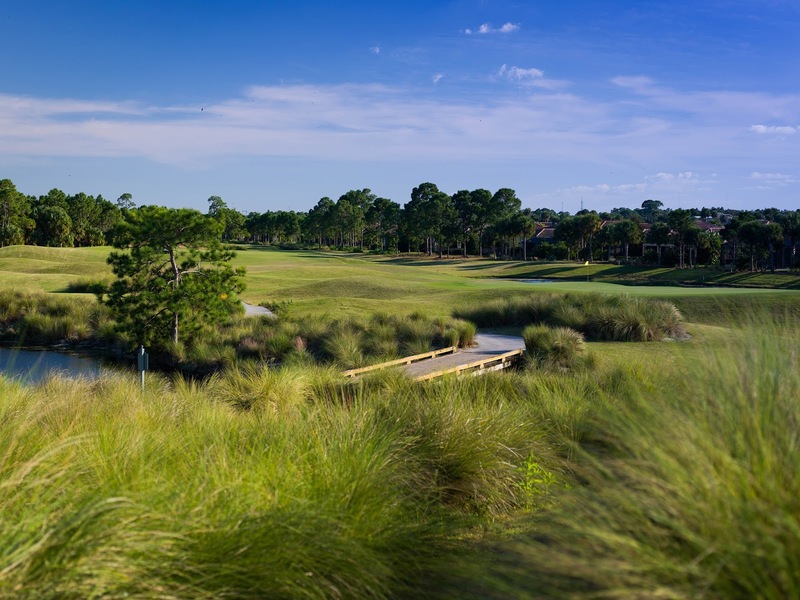 (PORT ST. LUCIE, Fla.) – PGA Golf Club announces a wide array of spring golf packages featuring its three onsite golf courses (Dye, Ryder and Wanamaker), nearby St. Lucie Trail Golf Club and a variety of lodging options to suit any size golf group. Weather, conditions and value withstanding, there’s never been a better time to visit PGA Golf Club. Its 20,000-square-foot clubhouse was completely renovated with a modern golf shop, the American-British fusion Taplow Pub featuring a cozy, welcoming interior, and NINETEEN-SIXTEEN Bar & Grille, a members-only restaurant adjacent to the 18th Hole of the Wanamaker Course. For history buffs, the PGA of America has relocated notable trophies and artifacts tracing its 100 years to the new “PGA Gallery” area of the clubhouse. A showcase of the major championship trophies of golf includes the PGA Championship’s original Wanamaker Trophy. The Senior PGA Championship’s Alfred S. Bourne Trophy and the Vardon Trophy, with its iconic overlapped hands sculpture, are also prominently displayed. Additionally, PGA Golf Club’s Wanamaker Course underwent a significant re-grassing project late last year, heightening the playing experience by introducing new turf to fairways and bunker surrounds, and planting several ornamental species to reframe holes. It was recently rated one of the top-five courses in South Florida by The Golf Channel’s course rating website, Golf Advisor. Getting There: PGA Golf Club is conveniently located off Interstate 95 in Port St. Lucie, Fla. just 50 minutes north of Palm Beach International Airport (PBI). PBI offers nearly 100 non-stop flights to more than 25 cities in the U.S. and Canada. It is under a two-hour drive from Orlando, Miami and other Florida population centers.